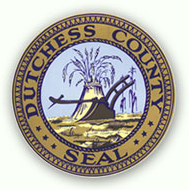 Dutchess County is a county located in the U.S. state of New York, in the state's Mid-Hudson Region of the Hudson Valley. As of the 2010 census, the population was 297,488. The county seat is Poughkeepsie. 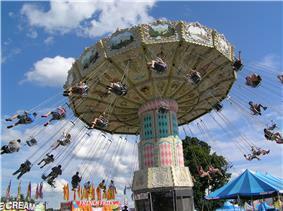 Dutchess County is part of the New York metropolitan area. Mary, Queen Consort of England and Duchess of York, the namesake of Dutchess County. "Dutchess" is an archaic spelling of "duchess." Prior to Anglo-Dutch settlement, what is today Dutchess County was a leading center for the native Wappinger peoples. They had their council-fire at what is now present-day Fishkill Hook, and also held gatherings along the Danskammer. 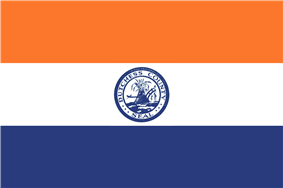 On November 1, 1683, the Province of New York established its first twelve counties, with Dutchess County being one of them. Its boundaries at that time included the present Putnam County, and a small portion of the present Columbia County (the towns of Clermont and Germantown). 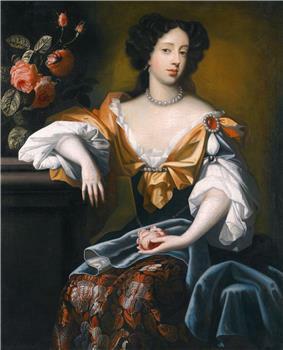 The county was named for Mary of Modena, Duchess of York, second wife of James, Duke of York (later James II, King of England). "Dutchess" is an archaic form of duchess. 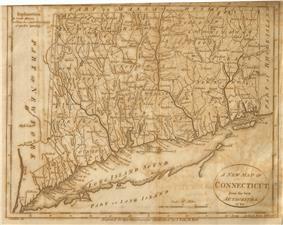 From 1683 to 1715 most of the settlers in Dutchess County were Dutch. Many of these moved in from Albany and Ulster Counties. They settled along the Fishkill River and in the areas that are now Poughkeepsie and Rhinebeck. Prior to the 1960s, Dutchess County was primarily agricultural. Since then the southwestern part (from Poughkeepsie south and From the Taconic State Parkway westward) of the county has developed into a largely residential area, suburban in character, with many of its residents commuting to jobs in New York City. The northern and eastern regions of the county remain rural with large farmlands but at the same time developed residences used during the summer and or on weekends by people living in the New York City urban area. According to the U.S. Census Bureau, the county has a total area of 825 square miles (2,136.7 km2), of which 802 square miles (2,077.2 km2) is land and 24 square miles (62.2 km2) (2.88%) is water. There were 99,536 households out of which 34.50% had children under the age of 18 living with them, 55.50% were married couples living together, 10.30% had a female householder with no husband present, and 30.50% were non-families. 24.60% of all households were made up of individuals and 9.00% had someone living alone who was 65 years of age or older. The average household size was 2.63 and the average family size was 3.16. In the county the population was spread out with 25.10% under the age of 18, 9.40% from 18 to 24, 30.20% from 25 to 44, 23.20% from 45 to 64, and 12.00% who were 65 years of age or older. The median age was 37 years. For every 100 females there were 100.10 males. For every 100 females age 18 and over, there were 98.20 males. The median income for a household in the county was $53,086, and the median income for a family was $63,254. Males had a median income of $45,576 versus $30,706 for females. 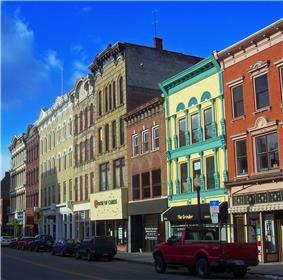 The per capita income for the county was $23,940. About 5.00% of families and 7.50% of the population were below the poverty line, including 8.50% of those under age 18 and 6.50% of those age 65 or over. The per capita income and average home values have increased noticeably in recent years mainly due to affluent residents relocating from nearby and expensive Westchester County, NY. 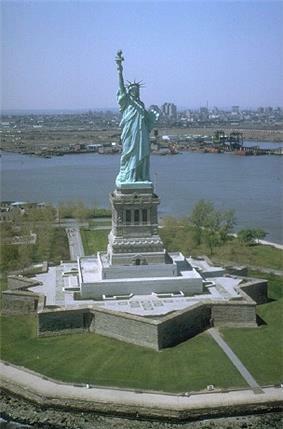 In recent years, there has been a large influx of people that have relocated from New York City, mainly from the Borough of The Bronx. 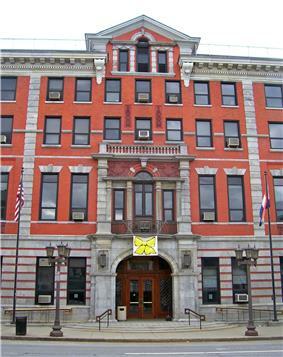 The current county courthouse, built in 1903, stands on the same site as the original 1720 building. The county is governed via a county executive and a county legislature. The county legislature consists of 25 members each elected from single member districts. The current composition of the County Legislature is 17 Cook PVI of EVEN. 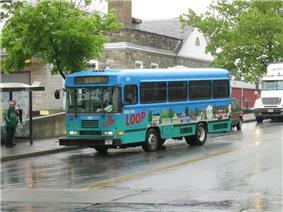 Public transportation in Dutchess County is handled by the Dutchess County Department of Mass Transit, branded publicly as the LOOP system. Outside of the urbanized area of the county, most service is limited. The City of Poughkeepsie operates its own limited system as well. Privately run lines connect Poughkeepsie to New Paltz and Beacon to Newburgh. For intercity bus service, Adirondack Trailways and Short Line Bus also operate some service through Poughkeepsie, Rhinebeck, and the southern part of the county. The last time service ran outside that area was in the late-1990s when Peter Pan/Bonanza ran service to New York City in the eastern part of the county. The Dutchess County Airport, located in the town of Wappinger, is a general aviation facility which once had commercial service. The closest commercial airport, Stewart International Airport, is located across the Hudson River in Newburgh. Also located in the county is Sky Park Airport, a public use general aviation facility in Red Hook, New York. Dutchess County Chamber of Commerce holds and annual hot air balloon launch typically in the first week of July. The main launch sites are along the Hudson River. As many as 20 balloons participate in the event. The Hudson Valley Renegades are a minor league baseball team affiliated with the Tampa Bay Rays. The team is a member of the New York - Penn League, and play at Dutchess Stadium in Fishkill. The Hudson Valley Hawks is a team in the newly formed National Professional Basketball League. The team's home court is at Beacon High School, in Beacon. *: There is also a northern border of about 0.5 miles (0.80 km) in length with Berkshire County, Massachusetts, however this is in a forested area in Taconic State Park and there is no direct road access from Dutchess County to Berkshire County.